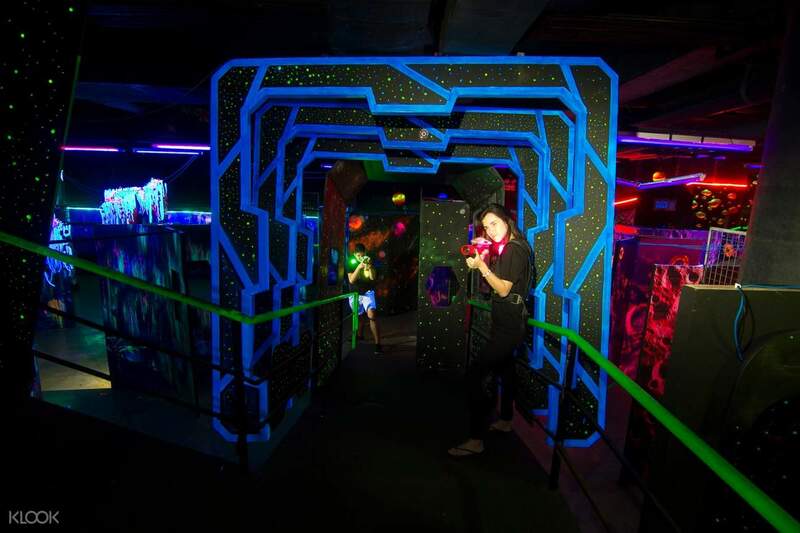 Enjoy a thrilling afternoon playing at LazerXtreme, a world-class multi-level laser stage arena! The game is so good! Good for all people who looking for an intense game and want to swet and enjoy at the same time. PS. Nicer when you join your love ones. 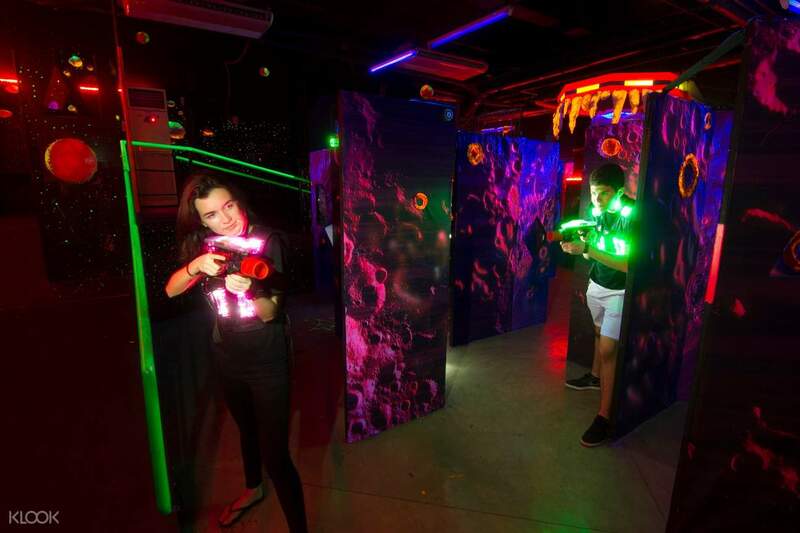 Enjoy a futuristic, sci-fi entertainment experience at LazerXtreme Laser Tag when you stop by Bonifacio Global City in Metro Manila! This is level-up tag, designed to perfection with a variety of exciting challenges for its players. Spend fun quality time with your family and friends playing at the world-class laser stage arena, complete with state-of-the-art equipment for a 15 minute heart-stopping experience suitable for all ages! Either team up or play solo as you go on your way to the more advanced game formats. Skip the long queue at the registration and enjoy up to 3 games available from Thursday to Sunday when you book with Klook! 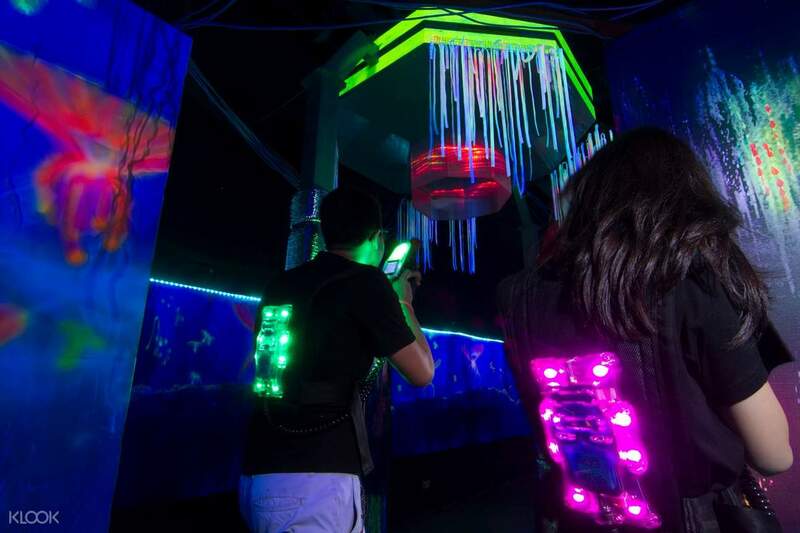 Ready, set, go – experience a level up game of tag in a dark room equipped with futuristic gears! Immerse yourself in the sci-fi setting as you gun down your friends-turned-enemies! The game is so good! Good for all people who looking for an intense game and want to swet and enjoy at the same time. PS. Nicer when you join your love ones. The game is so good! Good for all people who looking for an intense game and want to swet and enjoy at the same time. PS. Nicer when you join your love ones. The kids had a really great time! This is the second time that my daughter celebrated her birthday here. Voucher is easy to use as well. Thanks Klook! The kids had a really great time! This is the second time that my daughter celebrated her birthday here. Voucher is easy to use as well. Thanks Klook! It was such a fun activity and Klook made it easier and cheaper. It was such a fun activity and Klook made it easier and cheaper. friendly excellent service for the staff. my family and i had sooooo much fun and i would highly recommend this, great for family bonding. friendly excellent service for the staff. my family and i had sooooo much fun and i would highly recommend this, great for family bonding. The kids had a blast with this activity. Getting in with the voucher was a breeze. Staff was friendly and answered all our queries politely. The kids had a blast with this activity. Getting in with the voucher was a breeze. Staff was friendly and answered all our queries politely. It was fun. But a bit short. Some of the employees are very accommodating but some are not. I hope they can smile more when helping out customers. We love the complimentary iced tea for the first place winner. We got the first place on both games. My friends really enjoyed the games. It was fun. But a bit short. Some of the employees are very accommodating but some are not. I hope they can smile more when helping out customers. We love the complimentary iced tea for the first place winner. We got the first place on both games. My friends really enjoyed the games. It is a great way to spend time with the kids. It is fun and active kids would surely have fun. It is a great way to spend time with the kids. It is fun and active kids would surely have fun.